JEOL and FUJIFILM Corporation agreed on overseas sales tie-up for Clinical Chemistry Analyzer | News Release | JEOL Ltd.
JEOL Ltd. (President: Gon-emon Kurihara) has agreed with FUJIFILM Corporation (President & COO: Kenji Sukeno) to promote sales tie-up on biochemical test fields for overseas market. This is the first tie-up between the companies. First, we will launch our Clinical Chemistry Analyzer (model name: JCA-BM6010/C) in the Middle East and Africa, and then introduce products that meet regional characteristics in the Asian region particularly emerging markets. The Clinical Chemistry Analyzer is an instrument that uses the pale yellow supernatant fluid (serum) of centrifuged blood sample or a urine sample, and induces reactions with reagents to measure various components, such as sugar, cholesterol, protein, and enzyme in the sample. These tests are performed for routine health checks or at hospitals, to check the functions of kidney, liver, and gall bladder, as well as nutritional status and cholesterol level and the results provide objective data enabling early detection and diagnosis of disease, as well as indicating the therapeutic effects and patient prognosis. The application also expands to toxicology screening in the U.S.A.
FUJIFILM Corporation, Tokyo, Japan is one of the major operating companies of FUJIFILM Holdings Corporation. The company brings cutting edge solutions to a broad range of global industries by leveraging its depth of knowledge and fundamental technologies developed in its relentless pursuit of innovation. Its proprietary core technologies contribute to the various fields including healthcare, graphic systems, highly functional materials, optical devices, digital imaging and document products. These products and services are based on its extensive portfolio of chemical, mechanical, optical, electronic and imaging technologies. The medical business has a history of more than 80 years since the launch of medical X-ray film. It now provides products and services to the global market in the field of X-ray image diagnosis, endoscopy, ultrasound, in-vitro diagnostics (IVD)* and medical IT. Since 2017, Fujifilm has added Wako Pure Chemical Corporation (now FUJIFILM Wako Pure Chemical Corporation), a comprehensive reagent manufacturer, to the group to strengthen its IVD business. 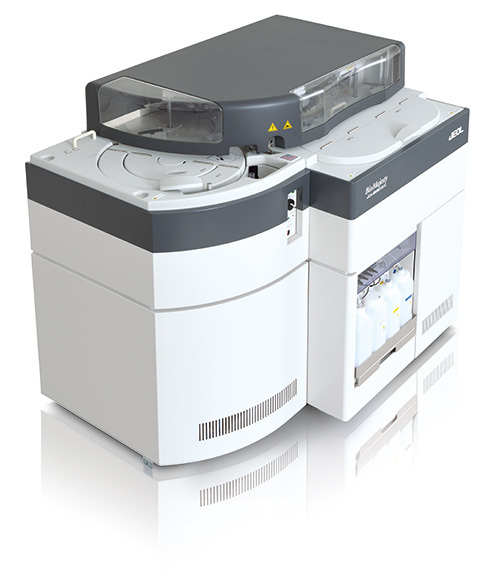 A compact clinical biochemistry analyzer which inherits the concept of BioMajesty™ series distinguished by high throughput and micro-volume measurement. Pursuing ultra micro-volume technology, JCA-BM6010/C achieves analysis with sample volume as small as 1μl. It also offers automatic on-board hemolysis function for HbA1c analysis (optional).